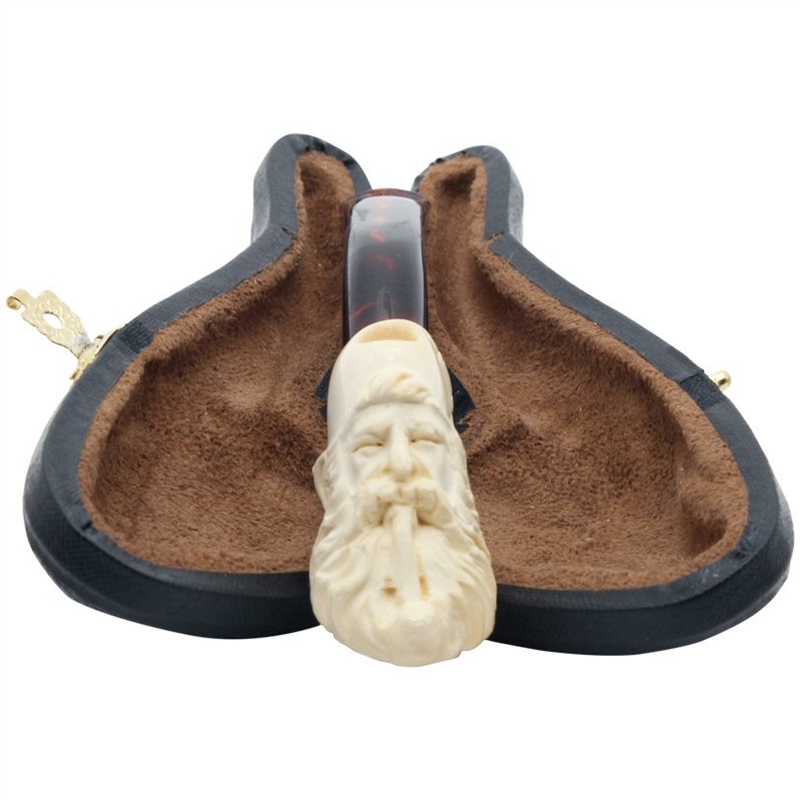 Hand Carved Bearded Man Meerschaum Cigarette Holder - Carved with a flowing beard this man is smoking a churchwarden pipe and sports a tasseled cap. 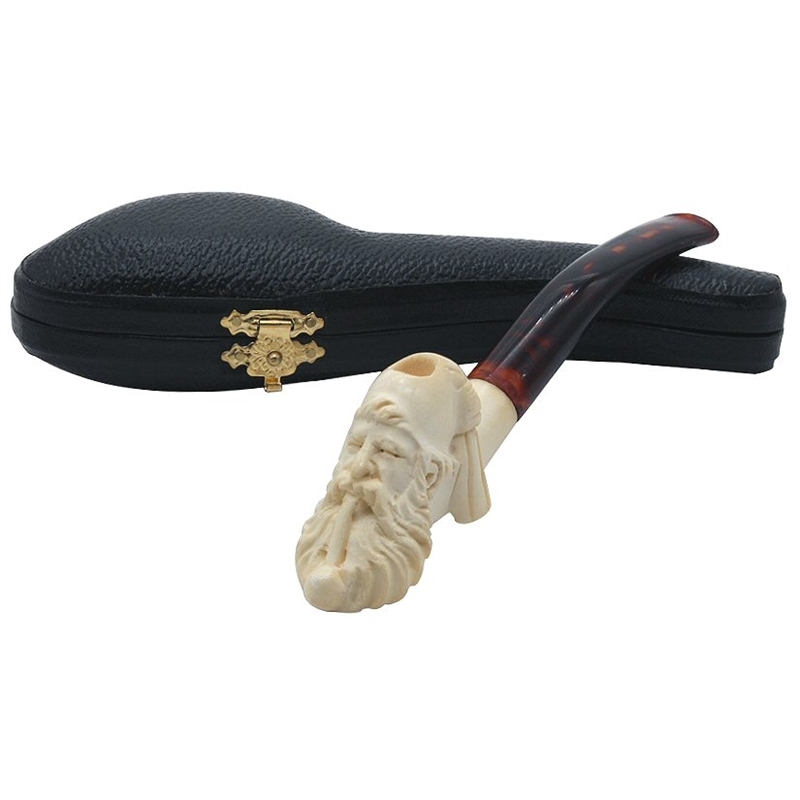 This rare find and highly collectible cigarette holder has a dark translucent stem and comes in a custom fitted case. This meerschaum holder is Hand Carved from 100% Solid Block Meerschaum imported directly from central Turkey. Once carved it is soaked in beeswax so that it will color over time after being smoked. The stem is made of a special Amberoid Acrylic for good looks and long lasting durability. 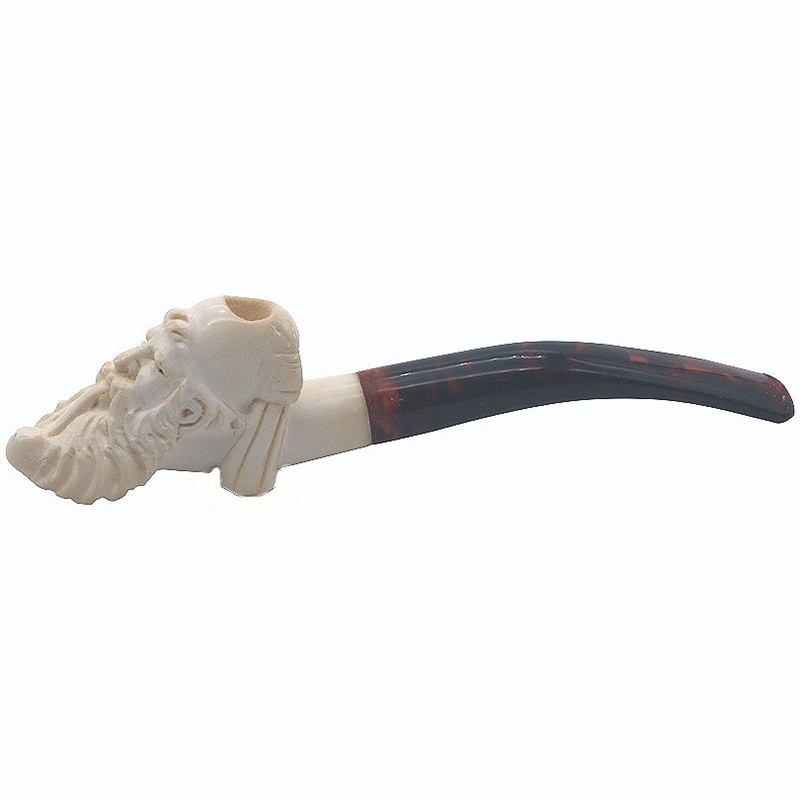 Every meerschaum we sell is hand carved so no two are exactly the same. Each hand carved item comes in a custom made black leather and velvet lined hinged case which is custom fitted and unique to that individual piece.